It is all too natural for Americans to view North Korea's nuclear and missile programs in terms of what seems to be an irrational threat to the United States: From a narrow U.S. perspective, North Korea's action seem almost suicidal. North Korea is creating a threat to the United States that could lead the U.S. into preventive strikes against North Korea and either force it back down or trigger a conventional war that it would lose catastrophically—albeit at immense cost to South Korea. Or, if the United States does not respond with effective preventive strikes or diplomacy, actually North Korea will acquire a nuclear capability to strike at the United States which—if ever exercised—would trigger a level of massive U.S. nuclear retaliation that much—or most—of North Korea would not survive. There is, however, a different side to North Korea's actions. The key aspects of the military balance involve South Korea, Japan, and China far more directly than the United States. North Korea is the most militarized nation in the world, and any all-out conventional war on the Korean peninsula would do immense damage to South Korea and produce massive civilian casualties. At the same time, most of North Korea's conventional weaponry is aging, some is obsolescent, and it has a remarkably limited economy and infrastructure that is highly vulnerable to precision conventional strikes, "stealth," and the full spectrum of U.S. SEAD (Suppression of Enemy Air Defense) technology and weapons. South Korea is far better equipped, and its conventional advantage is improving over time. ** Can Ballistic Missile Defense Shield Guam From North Korea? Attempts by the United States and Japan to intercept North Korean ballistic missiles headed toward Guam could fail and undermine the credibility of missile defense. North Korea has threatened to test-fire four unarmed intermediate-range ballistic missiles (IRBM) that would fly over Japan and land in the waters around Guam, a U.S. territory that hosts multiple military facilities. Pyongyang has never conducted such a test, and it would be among the most provocative actions ever taken by the regime against the United States and Japan. On August 28, North Korea, for the first time, fired a ballistic missile designed to carry nuclear payloads over Japan that landed in the northern Pacific Ocean. While the United States and Japan did not do so during this launch, they may seek to intercept future launches of this kind with a range of defense systems—especially if the missile appears to be on a trajectory for Guam. There are risks associated with both attempting and not attempting to destroy the missiles. [Such a test] would be among the most provocative actions ever taken by the regime against the United States and Japan. Mr. Musk has established himself in recent years as the world’s most visible and outspoken critic of developments in artificial intelligence, so his views on so-called “killer robots” are no surprise. 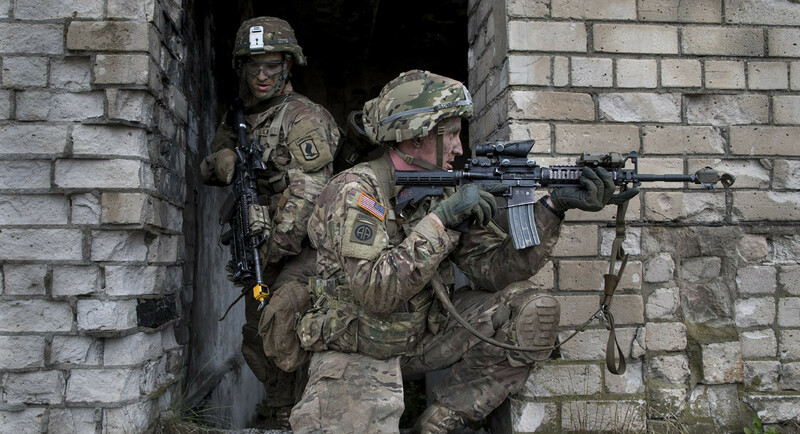 But he and his allies are too quick to paint dire scenarios, and they fail to acknowledge the enormous potential of these weapons to defend the U.S. while saving lives and making war both less destructive and less likely. In a 2014 directive, the U.S. Defense Department defined an autonomous weapons system as one that, “once activated, can select and engage targets without further intervention by a human operator.” Examples in current use by the U.S. include small, ultralight air and ground robots for conducting reconnaissance and surveillance on the battlefield and behind the lines, antimissile and counter-battery artillery, and advanced cruise missiles that select targets and evade defenses in real-time. 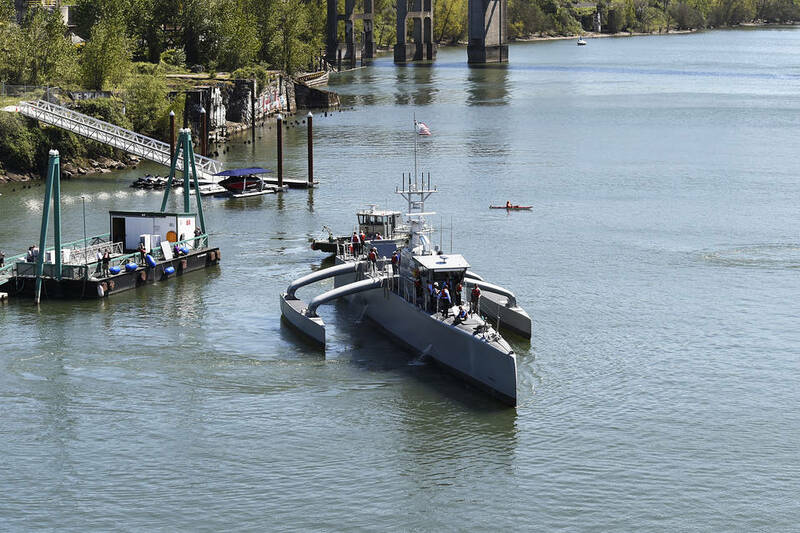 The Pentagon is developing autonomous aerial drones that can defeat enemy fighters and bomb targets; warships and submarines that can operate at sea for months without any crew; and small, fast robot tanks that can swarm a target on the ground. As the monsoon gathers pace, civic authorities are gearing up to deal with the spectre of malaria, chikungunya and an assortment of other maladies. Yet, while two-thirds of the world’s people are at risk from these and other debilitating diseases, no vaccines have yet been developed to prevent them. Even where vaccines exist — such as for dengue and the human papilloma virus, the precursor of cervical cancer — they don’t target the strains prevalent in India. Or they are prohibitively expensive. Since it costs an average of $800 million to bring a single new drug to market, most R&D budgets focus on developing drugs that fetch high returns. This leaves the diseases that afflict the developing world with few takers. India is well-placed to fill this gap. Two key strengths have enabled India to reach its pinnacle position as the world’s largest manufacturer of high quality generic medicines and vaccines. 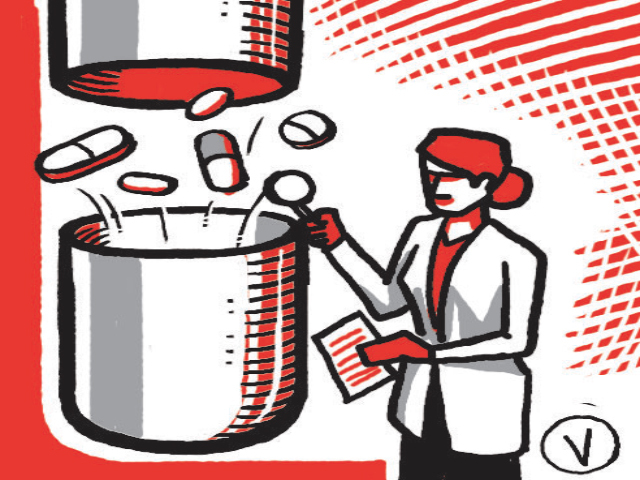 India’s academia has established a strong base in scientific research that helps identify potential new drugs. The private too sector has mastered reverse-engineering drugs and vaccines freed from patent protections. A majority of the 11 million citizens of Rwanda live outside the capital Kigali in areas so remote that getting there by road is a nightmare. Access to most of the nearly 500 health centres and district hospitals outside the capital requires you to drive down unpaved roads, through rugged, hilly terrain made all the more impassable by the twice-yearly rains. Consequently, one of the biggest challenges hospitals in remote locations have to contend with is being able to get blood when they need it. To be useable, blood needs to be stored between 2 and 6 degrees centigrade. If the temperature falls below 2 degrees it could result in haemolysis (a condition where the blood cells rupture causing fatal bleeding or renal failure), if it rises above 6 degrees centigrade it could result in bacterial contamination. Once removed from the refrigerator, the blood must be used within 30 minutes, offering a very small window of utility in locations where the infrastructure is poor. This means that, for the most part, patients in Rwanda who need blood stand a better chance of surviving if they drive to a larger city for treatment than wait for the blood to get to them. 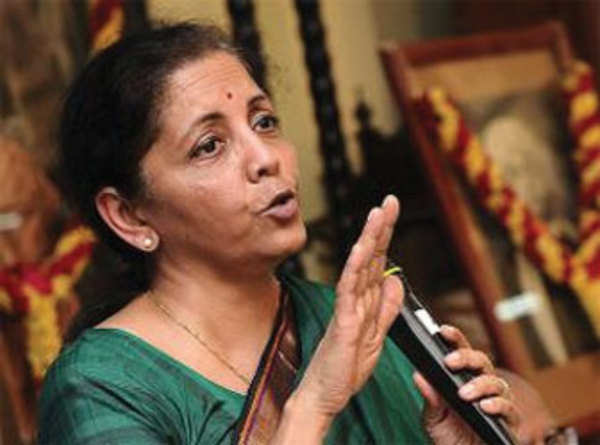 Nirmala Sitharaman’s elevation as the Union Minister of Defence was met with deserved applause for Prime Minister Narendra Modi and, more predictably, a spate of news stories highlighting the “gimme” attitude of the military, with each armed service pitching its set of wants. Television channels meanwhile indulged in symbolism, portraying her – as a strappy, no-nonsense, ‘Durga’, presumably, ready to lay waste adversaries. There are the Mahishasuras to slay, many of them, she’ll find lurking in her own ministry and in the military. That should keep her busy for a long time. But, hopefully, Sitharaman will bring to her job the attributes that high-achievers of her gender are justly appreciated for – practical good sense, capacity for multi-tasking, and natural tact to make the demons smile even as she plunges the Trishul into them. Firstly, the new defence minister has to inoculate herself against being overwhelmed and beguiled by technical jargon and minutiae and military pressure – all of which can get brains to freeze, as has regularly happened with her predecessors. Secondly, she needs to set her goal. Does she mean to be transformational, or merely fill a South Block ministerial chair? WILL PAKISTAN AND THE U.S. MAKE A DEAL? Perhaps the most notable part of President Donald Trump’s new Afghan “strategy” has been its treatment of Pakistan, with the president saying out loud what was once largely debated and threatened in private. This has met with predictable glee in India, which was singled out for praise in the speech on Aug. 21, and angry defiance of a “false narrative” in Pakistan. A number of experts have already weighed in on the viability of this approach. Several observers praised Trump’s willingness to threaten Pakistan in more forthright terms than ever before, potentially forcing it to reconsider the costs of its sponsorship of the Taliban and other groups. Others, including those under no illusions about Pakistan’s longstanding sponsorship of Islamist militants, have been more cautious. Christopher Clary outlined the risks in an excellent essay, concluding that “Pakistani support of groups that have targeted U.S. forces … may well be a moral travesty, but geopolitically it may be less costly than losing Pakistan’s cooperation in other areas.” Stephen Tankel, who has published some of the very best work on how to restructure the U.S. relationship with Pakistan, warned that there was “little evidence that coercion on its own will work.” Both sets of views deserve careful consideration. The Rohingya conflict, which erupted between Buddhists and Muslims in Myanmar's western Rakhine state in late August, was apparently fanned by external global players, Dmitry Mosyakov, director of the Centre for Southeast Asia, Australia and Oceania at the Institute of Oriental Studies of the Russian Academy of Sciences, told RT. "First, this is a game against China, as China has very large investments in Arakan [Rakhine]," Mosyakov told RT. "Second, it is aimed at fuelling Muslim extremism in Southeast Asia…. 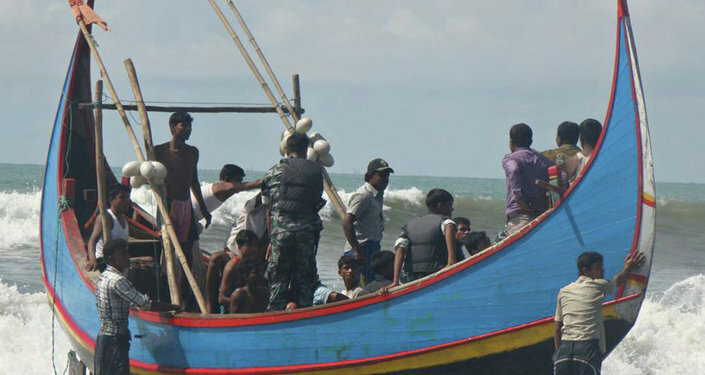 Third, it's the attempt to sow discord within ASEAN [between Myanmar and Muslim-dominated Indonesia and Malaysia]." 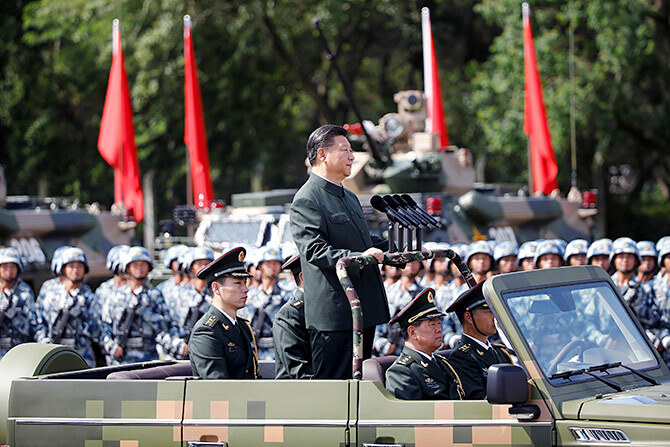 NEW DELHI – Has Chinese President Xi Jinping managed to assert full civilian control over the People’s Liberation Army through purges of generals and admirals and other reform-related actions? China’s secretive and opaque political system makes it hard to get a clear picture. Yet recent developments suggest Xi is still struggling to keep the PLA in line. Take the recent troop standoff with India that raised the specter of a Himalayan war, with China threatening reprisals if New Delhi did not unconditionally withdraw its forces from a small Bhutanese plateau that Beijing claims is Chinese territory “since ancient times.” After 10 weeks, the faceoff on the Doklam Plateau dramatically ended with both sides pulling back troops and equipment from the site on the same day, signaling that Beijing, not New Delhi, had blinked. The mutual-withdrawal deal was struck just after Xi replaced the chief of the PLA’s Joint Staff Department. This topmost position — equivalent to the chairman of the U.S. Joint Chiefs of Staff — was created only last year as part of Xi’s military reforms to turn the PLA into a force “able to fight and win wars.” The Joint Staff Department is in charge of PLA’s operations, intelligence and training. Xi Jinping has begun effecting appointments to top positions in the People's Liberation Army in the run-up to the 19th congress of the Chinese Communist party, now officially announced to open in Beijing on October 18, 2017. The new commanders of the PLA navy and the southern theatre command, both born in 1956, were the first to be appointed with their promotions being simultaneously announced in January 2017. Vice Admiral Shen Jinlong was appointed PLA navy commander replacing Admiral Wu Shengli while Vice Admiral Yuan Yubai, a submariner, was appointed commander of the southern theatre command exercising jurisdiction over the South China Sea and Indian Ocean. It is for the first time in the PLA's 90-year history that a naval officer has been appointed to head a theatre command. More recently, on August 26, 2017, General Li Zuocheng, a 'hero' of the Sino-Vietnam war in 1979 and commander of the PLA army (PLAA) (ground forces), was promoted to head the joint staff department of the central military commission, replacing General Fang Fenghui. General Li will oversee the PLA's combat planning, strategy, logistics and training. Shu Guozeng, a native of Hangzhou who worked under Xi Jinping when he was party secretary of China's Zhejiang province, was also appointed head of discipline inspection at the general office of the Communist party's central committee as well as the central committee's general office, which report directly to Xi. In his book, Chinese Intelligence Operations, Nicholas Eftimiades states that the “lucrative field of espionage…is highly suited to the [People’s Republic of China] PRC” (Eftimiades, LOC 1585). Eftimiades’ assertions were developed in 1994 and have continually been proven true in the twenty-two years since he wrote the book. The PRC is highly suited for cyber intelligence operations because of the type of information about which the PRC deems necessary to maintain its position as a regional power, and the use of non-intelligence experts in positions of importance all over the world. China’s intelligence activities support its policy interests by acquiring foreign high technology (for military and civilian uses), identifying and influencing foreign policy trends (such as bilateral policy and trade issues), and monitoring dissident groups (such as democracy advocates and Taiwanese nationals (Eftimiades, LOC 342). In one of its most provocotive acts yet, North Korea has test-fired a ballistic missile over Japan's Hokkaido region, prompting its residents to seek cover. And now Pyongyang has tested a powerful nuclear device 6 times more powerful than the bomb dropped on Nagasaki in WW II. Early analysis suggests the missile was a Hwasong-12 that flew over 2,700km before breaking into three pieces and landing in the North Pacific Ocean approximately 1,180km from the Japanese coast. North Korea possesses a host of short and medium range systems including rocket-artillery and SCUD tactical ballistic missiles. Its intercontinental ballistic missiles are a whole different ball game and western obervers believe Pyongyang was able to develop that advanced technology under the auspices of its Unha space program. Using data from the Center for Strategic and International Studies and the Missile Defense Project, the following infographic provides an overview of the key ballistic missiles in North Korea's arsenal. While the Taepodong-2 was probably only used as part of the Unha space program, the Hwasong 14 is notable as being likely capable of reaching the continental United States. On 3 September 2017, seismologists recorded activity that suggested a shallow, magnitude 6.3 earthquake in North Korea (Democratic People’s Republic of Korea, or DPRK). Hours later, the hermit kingdom claimed to have successfully tested what it called “an advanced hydrogen bomb”. 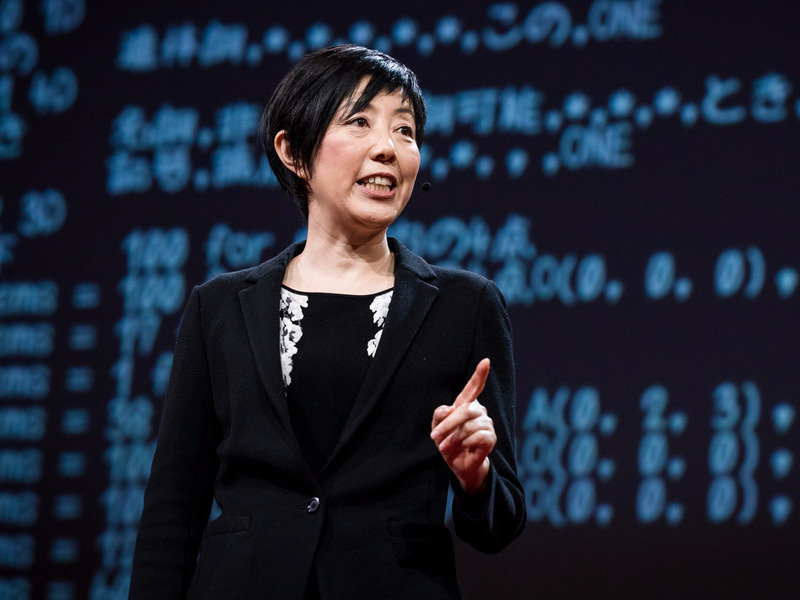 The Government of Japan had initially estimated the yield of the device to be 120 kilotons, but that was soon revised upwards to 160 kilotons as seismologists upgraded their estimates of seismic activity. The magnitude certainly puts it within the expected yield range of a hydrogen bomb, but until radionucleotides from the explosion are tested, it will be impossible to tell. What is clear, however, is that DPRK’s nuclear weapons programme has evolved rapidly. Coming hot on the heels of testing an intercontinental ballistic missile (Hwasong-14), capable of reaching mainland United States (US), this nuclear test will have significant ramifications for the relations between the US and its allies in Asia. 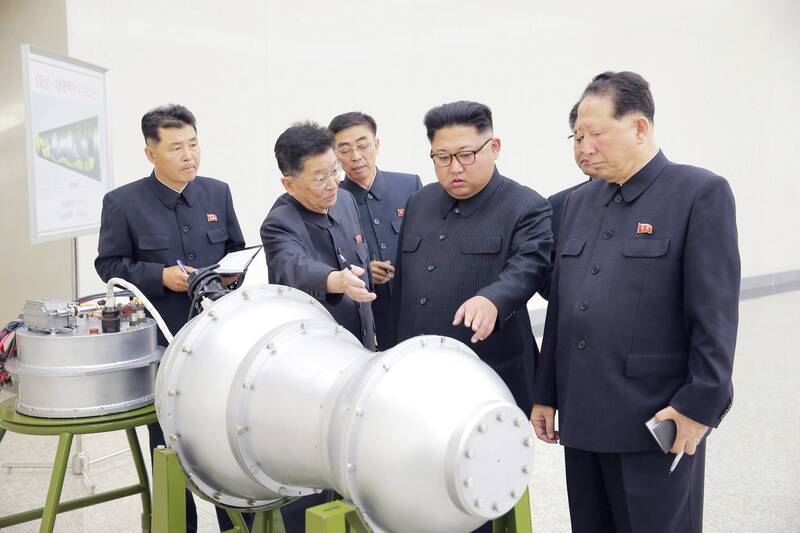 The speed with which Pyongyang has gone from fission devices that fizzled to a possible fusion device will raise questions about whether it is receiving technical aid from an external entity. In this context, it is helpful to review the technical aid it has already received for its nuclear weapons programme and how that aid has enabled it to indulge in belligerent brinkmanship. NORTH KOREA CONDUCTED its sixth nuclear test on Sunday, claiming that it had detonated a hydrogen bomb that was small and light enough to be mounted on an intercontinental ballistic missile. Pyongyang has made such claims before without proof that it actually possesses those advanced capabilities. Sensors in South Korea, China, and the US indicated, though, that whatever the Hermit Kingdom exploded underground on Sunday was more powerful than the atomic weapons the US used during World War II—a benchmark North Korea had not definitively topped before. The blast comes on the heels of an unsettling ballistic missile test last week, in which North Korea flew a mid-range projectile over northern Japan's Hokkaido Island. But both recent tests fit into a larger picture over the last three years of North Korea's increasing determination to become a fully capable nuclear power. The Obama administration, which pursued so-called "strategic patience," began to see the necessity of stepping up pressure on North Korea to stop this evolution in the final years of the second term. Trouble is, there are limited options for attempting to address tension with North Korea, and while President Donald Trump has thus far largely followed established paths, namely by levying sanctions, his trademark inflammatory language seems to have emboldened Kim Jong-un rather than cowing him into any type of compliance. The just-concluded ninth Brics summit in Xiamen, China, had attracted more than the usual attention because of the preceding month-and-a-half tense standoff between India and China at Doklam, and the sixth nuclear test conducted by North Korea coinciding with its start. Questions were also raised about continued relevance of Brics since two of its members (India and China) had serious differences, geopolitical rivalries and intensifying competition in the Indian Ocean, South Asia and Southeast Asia; two other members (India and Russia) were seen as somewhat drifting apart with India building closer relations with the United States and Europe, and Russia getting more linked to China and exploring new opportunities, including military, in Pakistan; and two (South Africa and Brazil) bedevilled by political and economic instability. This was a far cry from the beginning of this century when the concept was promoted as an investment marketing strategy by western financial firms, and taken forward by the five countries also as a check on post-1990 western unipolar dominance. Despite its detractors, the summit and its outcomes showed that the Brics process remains relevant. The five countries--Brazil, Russia, India, China and South Africa--account for 42% of the world’s population, 23% of global GDP, 17% of international trade, and nearly 50% of growth in recent past. What do we need of our military logisticians in the future? Or perhaps, what skills, attributes, experiences and education will best prepare logisticians to deliver outcomes in a Joint environment? An environment that is characterised by change; changes in war fighting concepts and capabilities, quantum leaps in our capacity to source and manipulate information, and the possibilities of artificial intelligence to improve our decision-making and management of system performance. How do we prepare our logisticians to think about and develop future requirements beyond what we know currently? How do we prepare our logisticians to best enable joint war-fighting in the Digital Age? The Gerasimov Doctrine It’s Russia’s new chaos theory of political warfare. And it’s probably being used on you. Lately, Russia appears to be coming at the UnitedStates from all kinds of contradictory angles. Russian bots amplified Donald Trump during the campaign, but in office, Kremlin-backed media portray him as weak. Vladimir Putin is expelling U.S. diplomats from Russia, limiting options for warmer relations with the administration he wanted in place. As Congress pushes a harder line against Russia, plenty of headlines declare that Putin’s gamble on Trump has failed. For the last six and a half amazing years I have had the honor to serve as the first Coordinator for Cyber Issues in the Secretary’s Office at the State Department. I am tremendously proud of what we have accomplished during my time as America’s top cyber diplomat, and prouder still of one of the most talented, creative and dedicated teams in government — or for that matter anywhere. My office literally created and advanced a whole new area of foreign policy focus that simply didn’t exist before. As both cyber threats and opportunities have continued to grow, so too have the range of cyber issues — including everything from Internet Freedom and Governance to combatting cybercrime, fostering cybersecurity and advancing international security and stability in cyberspace. These important matters have evolved from being seen as largely niche or technical issues, to core issues of national security, economic security, human rights and, ultimately, core issues of foreign policy. When then Secretary Clinton created our office, we were the first of our kind in the world. Today, there are over twenty such offices, and growing, in foreign ministries around the globe — a testament to the growing importance of these issues as a foreign policy imperative. We’ve also established other precedents for the international community. For example, we pioneered “whole of government” dialogues with global partners to ensure that we were leveraging all of the capabilities of our governments on these cross-cutting issues, that now are the model for engagement between many countries. More importantly, we made concrete progress, working with other countries and partners, to ensure we maintain an open, interoperable, reliable and secure cyberspace for the future, while responding to growing threats posed by nation states, criminal groups, terrorists and others. When Arai thinks about all the evidence claiming machines will replace huge swaths of the global workforce - first in manufacturing and low-skill jobs, and then perhaps in white-collar professions - she sees it as an indication that education is flawed. The tech world hopes that artificial intelligence (AI) will make our lives easier, but are they paying enough attention to its inherent cybersecurity vulnerabilities? Christopher Zheng is an intern in the Digital and Cyberspace Policy program at the Council on Foreign Relations. Facebook CEO Mark Zuckerberg and Tesla CEO Elon Musk recently fought over whether artificial intelligence (AI) posed an existential threat to humanity. Musk made the case AI machines could eventually become self-aware and dispose of their human masters, like in the movie Ex Machina, whereas Zuckerberg argued humanity had nothing to fear. It would seem that most of the tech world sides with Zuckerberg given that companies are fast AI applying to fields as diverse as criminal justice and healthcare. With the massive amounts of sensitive data being used by AI to determine the course of individuals’ lives, how vulnerable are AI machines to hackers? There are two ways a malicious actor could own an AI system. First, machine learning (ML) algorithms—the tools that allow AI to exhibit intelligent behavior—need data to function properly and accurately. While it is possible to make better predictions without ample data, ML algorithms are more accurate with more data. Thus, the primary method for compromising AI so far has been through data manipulation. If data manipulation goes undetected, any organization could struggle to recover the correct data that feeds its AI system, potentially having potentially disastrous consequences in healthcare or finance sectors. In its annual enumeration of threats to the United States, the U.S. intelligence community has highlighted data manipulation as one of its most pressing concerns since 2015.